A modern Wind Power Plant will be built on the Southern Coastal area of Manner Island.This is Sri Lanka’s first ever large scale wind power plant, which has the ability to generate 100 Mega Watts of electricity. Plans are underway to build a 100 MW power plant and the power station garden with the instructions of Mr.Ranjith Siyambalapitiya, the minister of power and renewable energy. The Samurdhi Bank had agreed to provide 17 billion rupees to this project through the Divi Neguma Development Fund which accounts to 70 percent of the total cost. 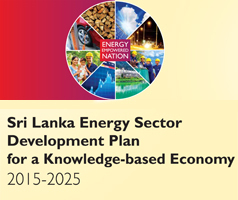 The rest 30 percent will be provided by the Ceylon Electricity Board. The Sri Lanka Sustainable Energy Authority has already granted its temporary approval to build this power plant on the Southern Coastal area of Manner Island. Ceylon Electricity Board had already started identification the purposes of the use of land plots and their existing owners. Also steps had been taken to survey the lands which had been allocated by the Sustainable Energy Authority of Sri Lanka. At present, studies on the technical plan and environmental impact analysis are being carryingout. Tenders will be called for the construction by the April next year, 2016. Minister Ranjith Siyambalapitiya has instructed relevant authorities to take measures to commence the operations of the Plant by the 2nd quarter of 2018. This decision had been taken in a official discussion between Mr. Mr.Ranjith Siyambalapitiya the minister of power and renewable energy amd Mr. S.B.Dissanayake the minister of social services and social welfare.